KATHMANDU, March 18: Ghanashyam Bhattarai has been elected as the chairman of the KUKL Board of Directors. The meeting of board of directors of the water utility held in Kathmandu on Friday elected Bhattarai, who is in the KUKL board representing the government, to the post. He is the executive director of Melamchi Water Supply Project. Bhattarai replaces Suresh Basnet who tendered resignation on Friday itself following pressure from all quarters. Basnet represents Nepal Chamber of Commerce (NCC) in the board in KUKL. Mahesh Bhattarai, the general manager of KUKL, sad that Basnet will continue in the board of director of KUKL as board member. Basent had drawn flak from all quarters with stakeholders openly questioning the capacity of KUKL to manage distribution of Melamchi water which is expected to arrive in Kathmandu by October. A source at KUKL told Republica that Basnet had asked for a separate boar meeting to tender his resignation. But his proposal was rejected by the board, the source said. The 5th Annual General Meeting of KUKL held on March 5 and 6 had decided to elect new chairman of the water utility in the next board meeting. Three years ago, all board members had sought clarification from Basnet. 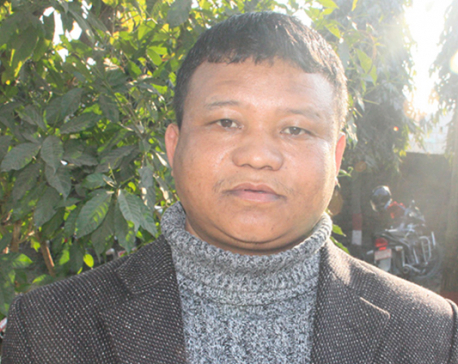 Instead of furnishing clarification, he had filed an application at the Patan Appellate Court, arguing that efforts were being made to oust him from the KUKL board. He had even managed to obtain an interim order. He had moved Supreme Court after his application was quashed by the appeal court. Basnet had deferred the Supreme Court hearings for one and half years on one pretext or other. He withdrew the case last month after forging a mediation agreement among the board members. Employee's trade unions at KUKL had also demanded that Basnet step down, saying that he was incapable of leading the organization. Speaking at the ninth anniversary of KUKL on February 13, Basnet had also blamed Asian Development Bank (ADB) of intervening to remove him from the post. NCC has only 9 percent stake in the company which was established for efficient management of the water supply in Kathmandu valley some nine years ago giving major roles to the private sector. The government and its local bodies own over 75 percent of shares in KUKL. Similarly, the board meeting has set the term of the chairman at two years. UDAYAPUR, Feb 12: Supraj Rai has been elected as the chairman of Federation of Nepalese Indigenous Journalists (FONIJ) Udayapur Chapter.